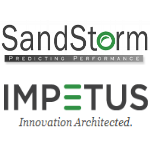 Impetus is a product development, software services and solutions company. We are a leading provider of Big Data solutions for the Fortune 1000®. We help customers effectively manage the “3-Vs” of Big Data and create new business insights across their enterprises. Our customers include Financial, Healthcare, Manufacturing, Telecom, and Digital Media. We partner across the landscape including companies like Oracle, Hortonworks, Microsoft, EMC, DataStax, MapR, Talend and more. We pride ourselves on enticing the highest talent in the industry. mAutomate is an innovative and cost-effective framework for evaluating mobile apps across diverse handsets, networks, operating system versions, and geographies. mAutomate enables to execute automated tests on remote mobile devices connected to the provider networks–there’s no need to root or jail break those devices. It also provides key performance analytics about device CPU, memory, services, battery, and more while you run your test cases.